2014 Yamaha Raider S, IN HOUSE FINANCING 96% APPROVALS! CALL 770-957-7404 TO SAVE $$$$ 2014 Yamaha® Raider S Some would like to build their own; some would rather ride. Either way we ve got you covered. 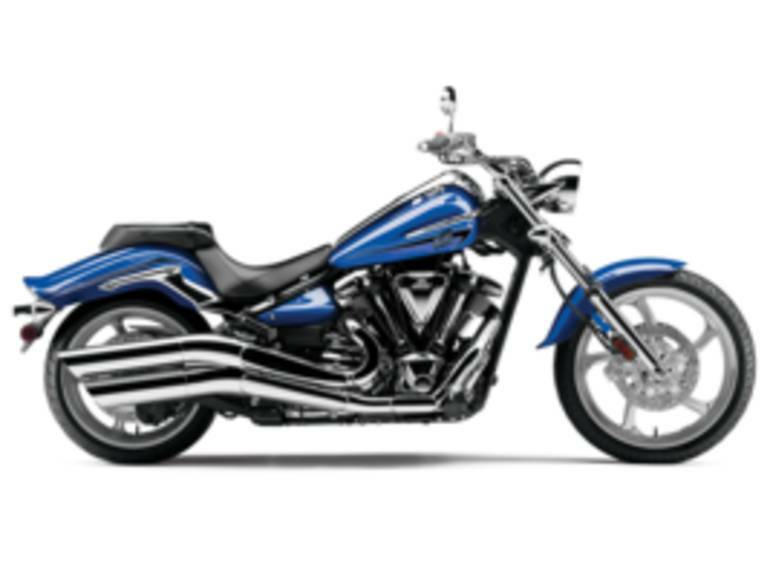 The 113-cubic-inch fuel-injected V-twin engine that powers it takes a back seat to no V-twin when it comes to power and reliability. And the rest of the chopper-inspired Raider S is pure Star, designed and engineered by the world s best bike builders. The S model gets even more chrome: chrome triple clamps, fork sliders, air box cover, engine covers, head-light housing, handlebar risers, and more. Key Features May Include: S model gets even more chrome: chrome triple clamps, fork sliders, air box cover, engine covers, headlight housing, handlebar risers, etc. A 6-degree yoke angle the first ever on a Star® Motorcycle makes it possible to achieve that custom raked-out look as well as neutral handling and straight-line cruisability: 33-degree rake plus 6 degrees yoke angle gives total rake of 39 degrees and 102mm of trail. 5-spoke wheels carry a 120/70-21-inch bias tire up front, and a wide, 210/40-18 radial out back the tallest and widest ever on a Star. Estimated 42 mpg* means this cruiser can go the distance between fill-ups. 113-cubic-inch (1854cc) air-cooled, OHV with 4 valves per cylinder, pushrod 48-degree V-twin pumps out max torque at just 2500 rpm and max power at 4500 rpm for powerful, relaxed cruising. Four pushrod-activated valves and two spark plugs per cylinder provide optimum combustion efficiency along with classically beautiful engine architecture. All-aluminum cast frame is lightweight, rigid and tuned for light, athletic handling. A light, Controlled-Fill, aluminum swingarm casting complements the bike s lithe style. Low, sculpted seat holds the rider in place, and pullback bars reach back to enforce a casual, urban cruising style. Custom 5-spoke wheels carry a 120/70-21-inch bias tire up front, and a wide, 210/40-18 radial out back the tallest and widest ever on a Star. All Yamaha pictures are kind of Yamaha HD motorcycles picture was taken, including motor fuel gauge, engine, engine mounts, tires, fuel tank, the car handles, lights and so on, 2014 Yamaha Raider S full-screen viewing,2014 Yamaha Motorcycles today Price: $12,469 .